I start this December 12 off a little different than I would any other day. 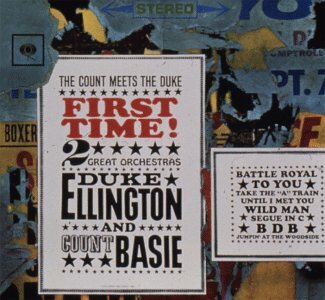 I start by saying my morning prayers and afterwards I play the classic 1961 Duke Ellington and Count Basie album “First Time! The Count Meets The Duke” and a wonderful flood of memories of my father rushes over me. To me, this was his quintessential album and I was very proud when I got my own copy of it. Today would have been his 83rd birthday and this is how I celebrate his life every year. From the opening bass intro of “Battle Royal” until the closing note of “Jumpin At The Woodside” each track surrounds me with his warmth and love. In addition to being the catalyst for my avid love of jazz, he also gave me my first exposure to computers when I was 10 years old. He worked third shift and took me to work with him one night during Christmas vacation. He gave me a box of punch cards and showed me how to run the keypunch machine. I stayed up all night running punch cards and even took my tray of punched cards home with me. I came home and went right to sleep after all the excitement from the night before. So what would my dad think of my website? He would think it was cool and be quite proud. He taught his sons to strive for greatness and gave us a lot of love so I know he is smiling down from the heavens upon me, my brother, and my mom. The memories and the music live on. Thanks Dad and Happy Birthday!!! This entry was posted on Thursday, December 12th, 2002 at 12:00 am. It is filed under Family. You can follow any responses to this entry through the RSS 2.0 feed. That is very moving my friend! I’m lucky, I still have my dad, but have taken his being here for granted far to long! I’m going to give him the biggest hug tomorrow! Thank you!